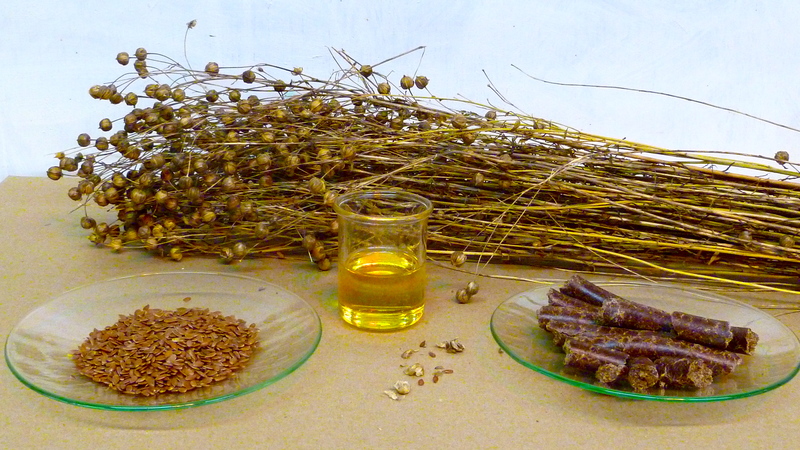 Linseed oil against hair loss (3 hairprotection points)	Noch nicht bewertet. The hair needs a constant supply of omega-3 fatty acids. Out of these acids the body builds together with the aid of sunlight vitamin D3. Linseed oil contains a lot of 3-polyunsaturated omega-3 fatty acid (alpha-linolenic acid). Alpha-linolenic acid is considered anti-inflammatory and regulates blood pressure and blood lipids. Because of the many valuable vitamins and trace elements, the linseed oil also has a positive effect on the immune system. Used externally, linseed oil is also beneficial for the hair. It provides a healthy, strong hair. A few drops of linseed oil to massage after shampooing on the affected areas of the scalp and hairline. The oil remains in the hair so that it can be fully absorbed by the hair follicles.